West Chester's Haunted Halftime WOWS! In the small town of West Chester, Pennsylvania, lives one of the best band corps style band programs in the country. 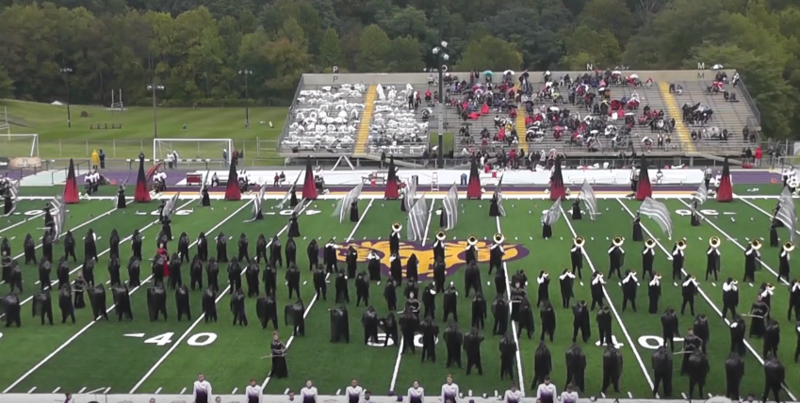 That band is known as the West Chester University "Incomparable" Golden Rams Marching Band. Their corps style wows fans across the country each year and this year is no exception. The theme this year is "Paint it Black" and we've actually been following this show all year. We wanted to save it for you for today, Halloween, because of its dark and haunted themes. You will absolutely love this performance and the multiple camera angles really help tell the full story that they are trying to portray on the field this season. We hope you will enjoy this hautingly good halftime show and please share so all band fans can learn about this great band program! Make sure to stay for the surprise at the end. Holy moly! That ending is just MAGIC! WOW!